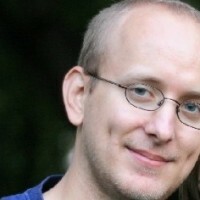 As of July 2013, Ivan Zuzak works at GitHub on the support team. From his secret base in Adliswil, Switzerland, he’s creating GitHub superfans and spreading happiness with a slight focus on GitHub’s API. Ivan graduated from FER in 2006, and then went on to work as a teaching and research assistant at FER/ZEMRIS for over 6 years. His research was focused on web architecture and API design, but his true love was working with and helping students. It’s all about the people. The goal of GitHub's support team is to surprise and delight not just our awesome users, but also our amazing designers and developers. We are a 15-person bridge for bugs, features, and experiences between 4 million users and a 200-employee company. I'll talk about providing support in a company in which most employees work remotely, dogfooding all products is embraced, and products are continuously deployed dozens of times a day. I'll also tell you a bit about GitHub's API, and the unique challenges we encounter and approaches we use for API support.